Honey is an incredibly versatile ingredient in both food and natural remedies. It has been used for both food and medicine since ancient times, and is still just as popular today. Raw honey has a myriad of benefits; it can boost energy, help with weight loss, can help heal burns and wounds, is chock full of antioxidants, nourishes skin, helps soothe sore throats and suppress coughs, and so much more! 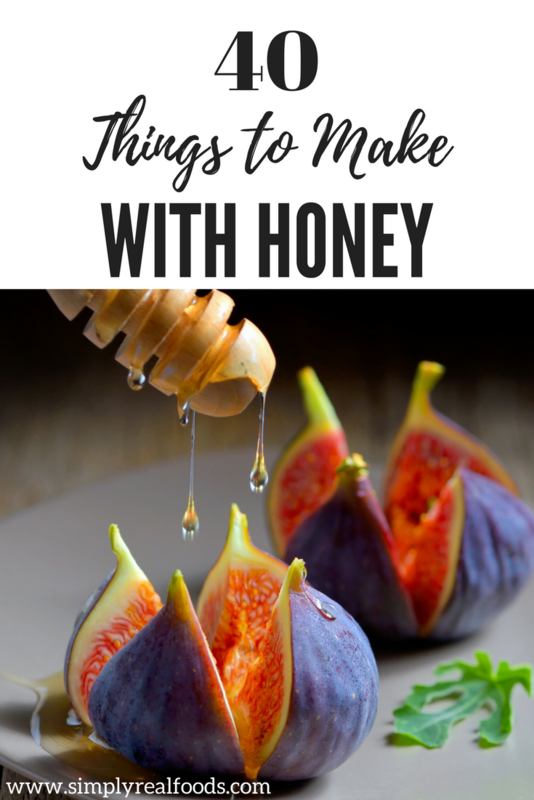 Honey is often used as a sweetener in place of sugar because it is lower on the glycemic index, contains trace minerals and nutrients, and is so sweet that you often need to use less of it than you would with regular sugar. Simply put, honey is amazing – and we’re not the only ones who think so! 1. At the first sign of sickness, give your immune system a boost with a tasty batch of Garlic Lemonade from Bodhi Bear. 2. If you need a bit more relief, Coffee With Us 3 shares two different ways to make DIY Cough Syrup. 3. 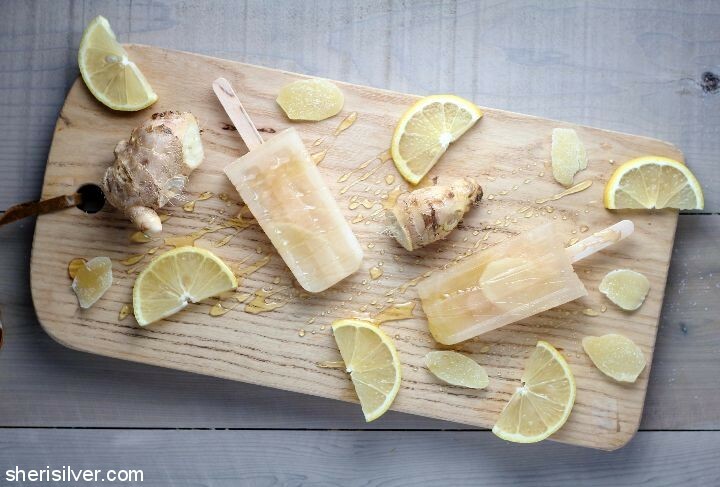 Soothe sore throats in warm weather with Sore Throat Pops from Sheri Silver. 4. Make a batch of Cold Tea from Splendry to keep in the fridge for whenever you need it. 5. 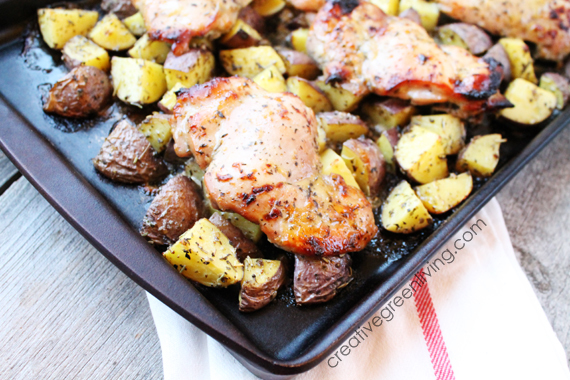 Two Healthy Kitchens has a delicious and healthy dinner with easy clean-up with their Sheet Pan Chicken and Potatoes with Rosemary, Sun-Dried Tomatoes and Honey-Balsamic. 6. Honey Balsamic Pan Seared Salmon from More With Less Today is a great healthy and simple dinner that would even impress guests! 7. 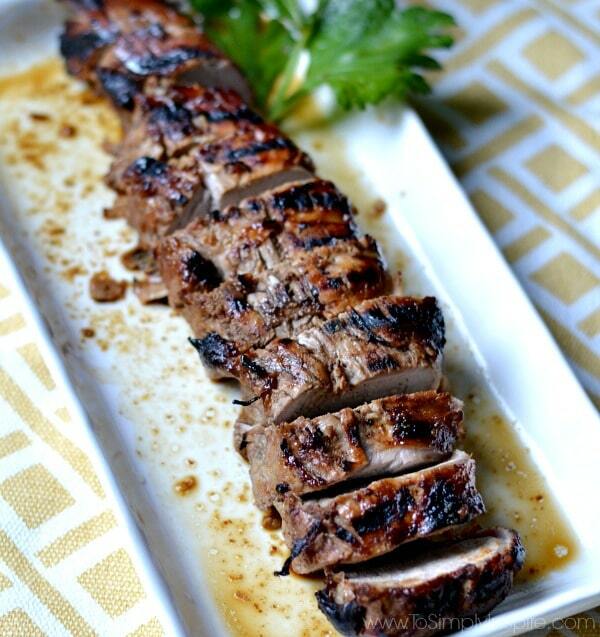 Serve up this beautiful Honey Dijon Pork Tenderloin from To Simply Inspire, made with just three ingredients! 8. Sweeten up spaghetti night with this Honey Balsamic Angel Hair Pasta from Ally’s Sweet & Savory Eats! 9. Get dinner on the table in a jiffy with 20 Minute Honey Glazed Pork Chops from Heidi’s Home Cooking. 10. For an easy weeknight dinner that doesn’t make a big mess, try Creative Green Living’s Honey Dijon Roasted Chicken with Herbed Potatoes. 11. With just five ingredients and a slow cooker, you can serve up this Slow Cooker Honey Garlic Chicken from To Simply Inspire. Get a free 16 oz. jar of raw 100% certified organic honey with an order of $35 or more. Don’t miss out –> Limited supply and limited time only Tuesday 3/20/18 at 7:00 AM until Thursday 3/22/18 midnight MDT. 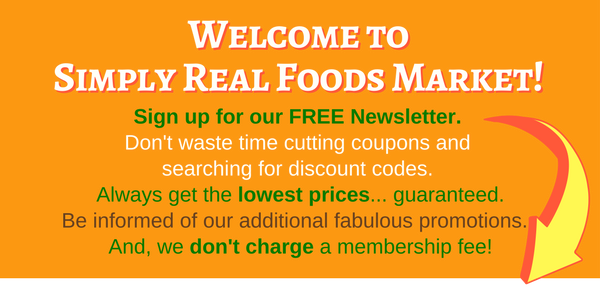 Put it in your cart and it will be credited in the checkout process! 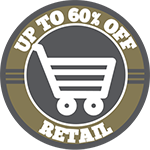 Click the banner to shop now! 12. These Cornbread Mini Muffins from I Was Born to Cook would be a great companion to almost any dinner! 13. 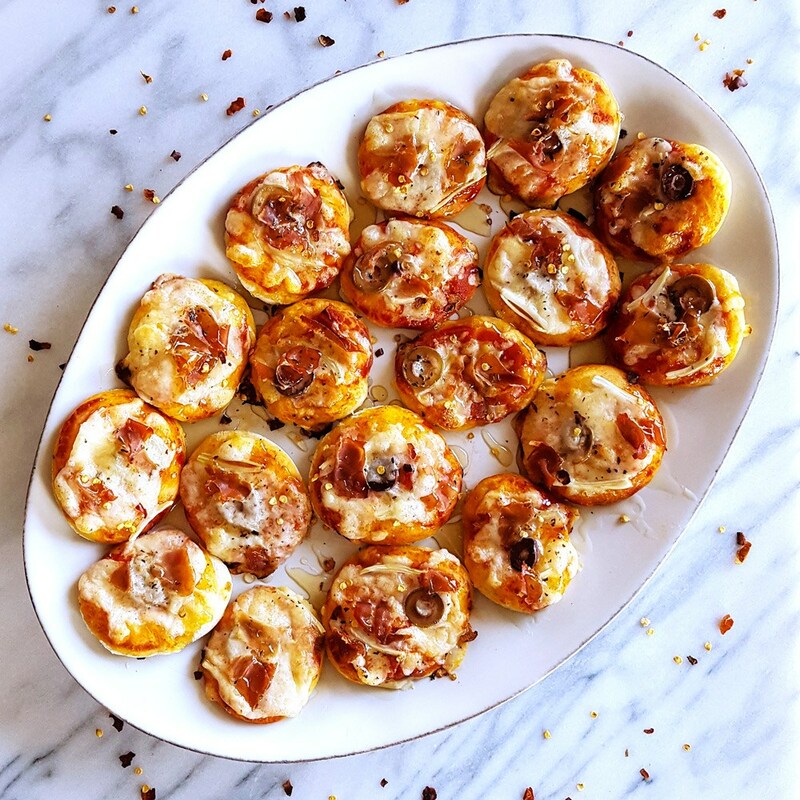 Serve these Mini Prosciutto, Olive, & Fennel Pizza Bites with Drizzled Honey from Feast in Thyme at your next get together to wow your guests. 14. For a salad that the whole family will be excited to eat, serve up this Fruity Green Salad with Honey Vinaigrette from Coffee With Us 3. 15. Slow Cooker Baby Carrots with Honey and Brown Sugar from Home Cooking Memories are an easy side dish that everyone in the family will love. 16. These Guinness & Honey Glazed Chicken Tenders are a deliciously sticky appetizer, but could also be a great dinner idea too! 17. This Honey Bear Bourbon Cocktail recipe from Feast in Thyme uses honey to create a delicious simple syrup! 18. 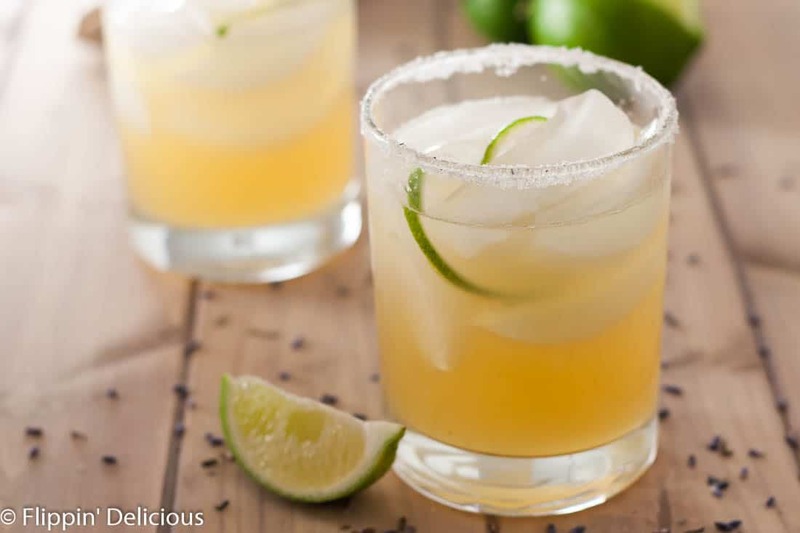 You can serve up these refreshing Lavender Honey Margaritas from Flippin’ Delicious at your next ladies night in! 19. Make this Peanut Butter and Honey Oat Smoothie from Home Cooking Memories to fill you with energy for a busy day! 20. Nut allergies are no problem with these Allergy-Friendly Granola Bars from Oh So Savvy Mom. 21. Honey lends some extra sweetness to these Homemade Strawberry Fruit Roll Ups from Having Fun Saving. 22. These Easy Oatmeal Bars from Suburban Simplicity are a great hearty snack for kids! 23. 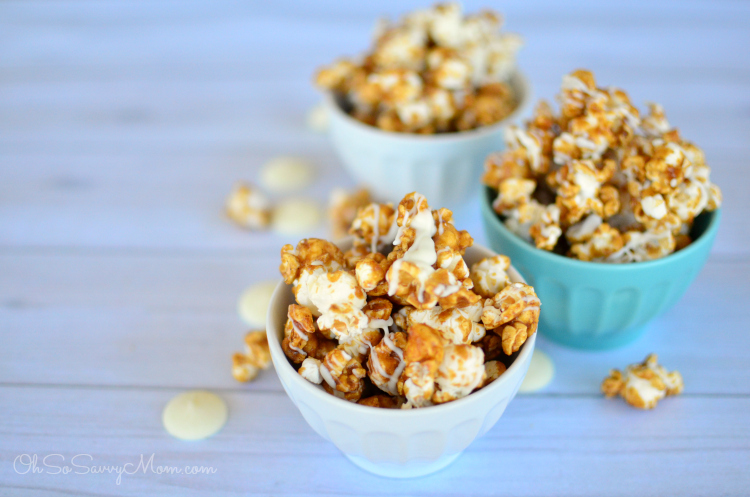 If you make this White Chocolate Drizzled Honey Cinnamon Caramel Popcorn from Oh So Savvy Mom, you may not want to share. 24. For a gluten free snack that’s simple but delicious Grandma’s Gluten Free Honey Muffins from Gluten Free on a Shoestring takes the (gluten free) cake. 25. Feel good feeding hungry toddlers with these Toddler Snack Cookies from Twitchetts. 26. Spend less time in the kitchen when you make this Big Batch Granola from As For Me And My Homestead for daily snacking. 27. These No Bake Chocolate Chip Energy Bites from On My Kids Plate make a great easy-to-grab snack for the whole family! 28. Honey and citrus combine to make these Honey Mint Orange Slices from Finding Zest simply irresistible. 29. These Honey and Mascarpone Grilled Cheese Sandwiches use peaches and strawberries on challah bread and would be perfect paired with a bellini or mimosa. 30. 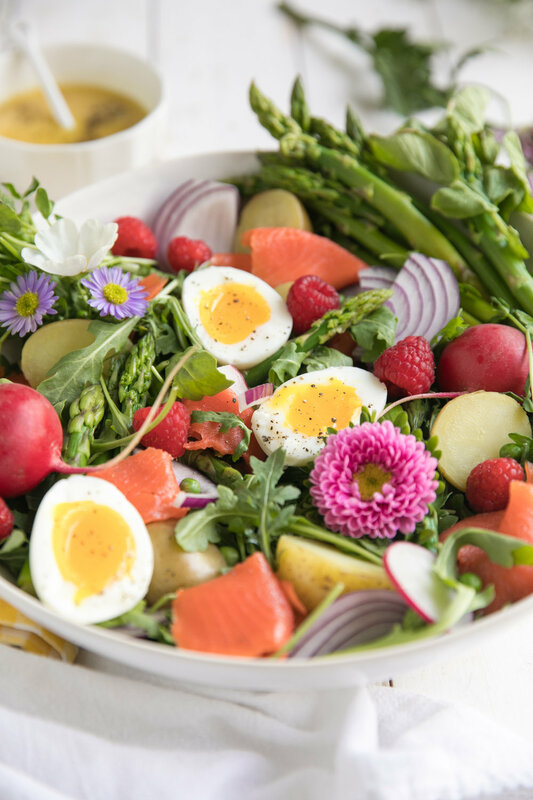 Green up your brunch with this almost-too-pretty-to-eat Fresh Spring Salad with Smoked Salmon and Honey Dijon Vinaigrette from The Forked Spoon. 31. This Honey-Lemon Olive Oil Cake from Sheri Silver is technically a dessert, but it’s the perfect not-too-sweet addition to a brunch spread. 32. Use this versatile and delicious Honey Mustard BBQ Sauce from We’re Parents for dipping, marinating, and more! 33. Butter is better when it’s whipped like in this Whipped Pumpkin Spice Honey Butter recipe from Family Around the Table. 34. Sparkles to Sprinkles uses honey to make butter three ways: Pecan Honey Butter, Cinnamon Honey Butter, and Strawberry Honey Butter. 35. You can customize your peanut butter with whatever you’d like using this Honey Roasted Peanut Butter recipe from Homemade for Elle. 36. Try something a little different for dessert with these Honey Pineapple Cookies from Splendry! 37. 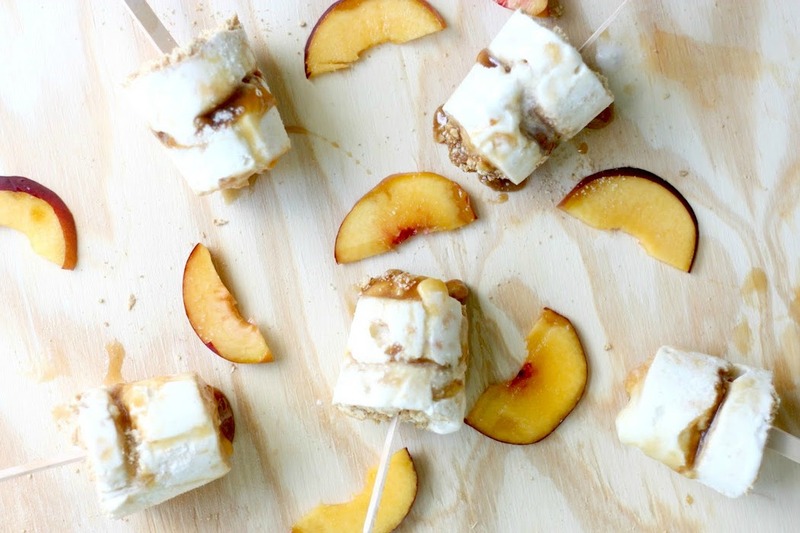 How about something decadent made in the freezer like these Peach Pie Pops with Honey Caramel Sauce from DIY Candy. 38. Everyone will gobble up these Gluten Free Peanut Butter Cookies from Suburban Simplicity. 39. Drizzle some honey over this Struffoli from I Was Born to Cook for a sticky sweet dessert. 40. 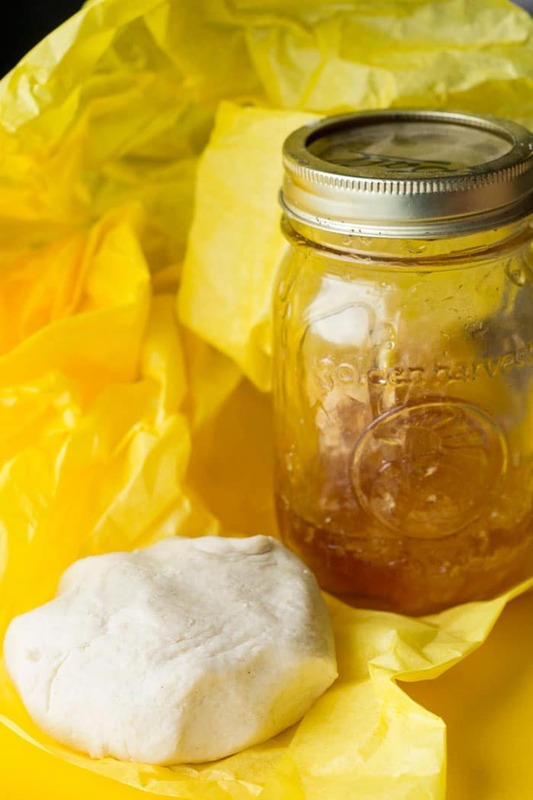 This Honey Playdough from Glue Sticks & Gumdrops is a sweet way for kids to play! 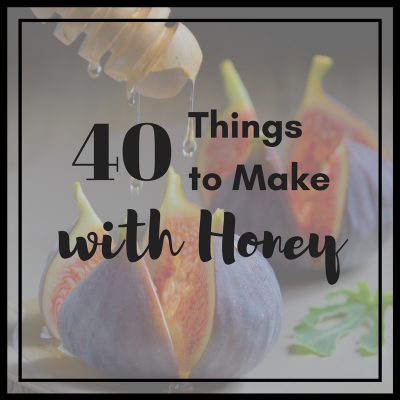 There’s a honey recipe for almost every occasion! What’s your favorite recipe that uses honey?